Heidi is an acupuncturist, herbalist, and fertility specialist with a background in Chinese medicine. She has over 10 years of experience helping women grow their families. She’s supported hundreds of women in her clinic in San Diego, and thousands of women around the world in her online community. Heidi focuses on helping women create total fertility wellness by preparing the mind, body, and spirit for fertility and pregnancy through her virtual fertility self-acupressure program. In today’s show, we talk about miscarriage and the role that Chinese medicine can play in reducing the likelihood and improving the chances of carrying a baby to term. 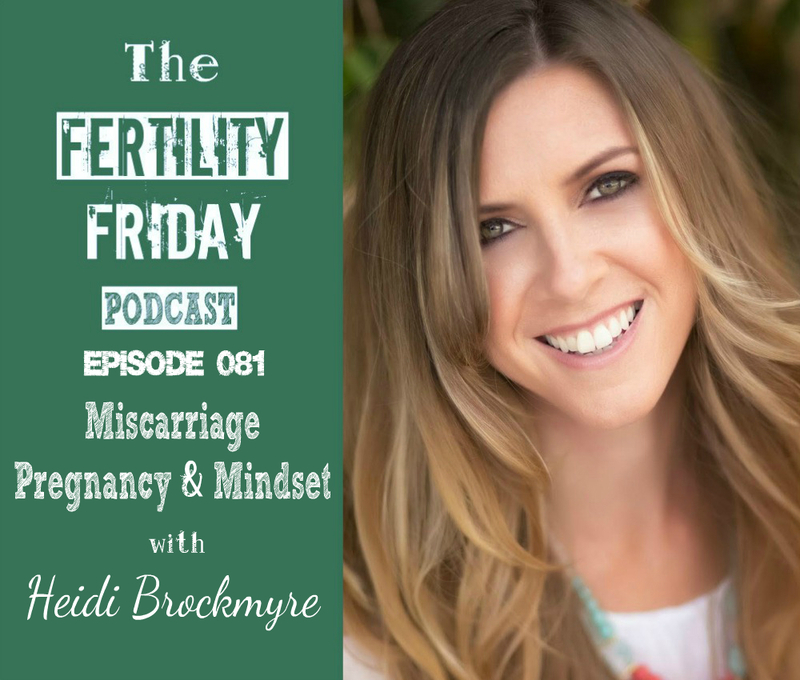 We also talk about the importance of having a fertile mindset when trying to conceive. How does Chinese Medicine help women to cope with stress? What are some of the reasons women experience miscarriage? How is miscarriage looked at from a Traditional Chinese Medicine perspective? When is the right time to start trying for a baby after having a miscarriage? Is there a benefit to waiting a few months to try again? Why is it important for a woman to cultivate a positive mindset when trying to conceive?